Giving back to your community can be extremely rewarding. Doing so as a business can not only grow your reputation as a great member of your community, but it can make you and your employees feel great, too. Here’s how you can make customer service more rewarding through charitable works. Sometimes, it’s obvious where the need is in your community. At other times, it may be less obvious. One way to decide where you want to focus your charitable acts is to listen to your customers. Are there customers who need something more than just the customer service you provide? Do some of your customers already support a charitable cause you also feel strongly about? You may want to ask your employees instead. They may already know of a need in your community that you could address. By choosing something you all feel strongly about, your team will want to work together to see your efforts become successful. 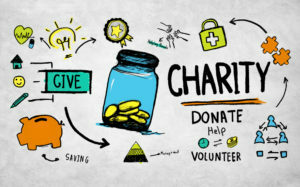 You may decide that the easiest thing for your business is to simply write a check to make a donation to a charitable cause. This is fine, but you may find it more rewarding to get a little more ‘hands on.’ You could put a collection cup in your lobby, make signs showing that you’re raising funds for charity, and ask customers if they’d like to make a donation. Or, you could host a charity event, invite customers to attend and make donations, and make it a big occasion. There are many ways that you can involve both your employees and your customers in your charitable acts. It will help you bond with your customers and show them where your concerns lie in regards to helping your community. Employees who are involved in giving back to their communities tend to be happier in their jobs. You don’t have to look far to see that some of the biggest companies in the world are also the ones to regularly contribute to charity. While being charitable may not guarantee success, it will certainly help you and your customer service team feel better about your work. For more information about call centres and your customer service team, visit Answer 365 today. Answer 365 Call Centre. © 2019. All rights reserved.